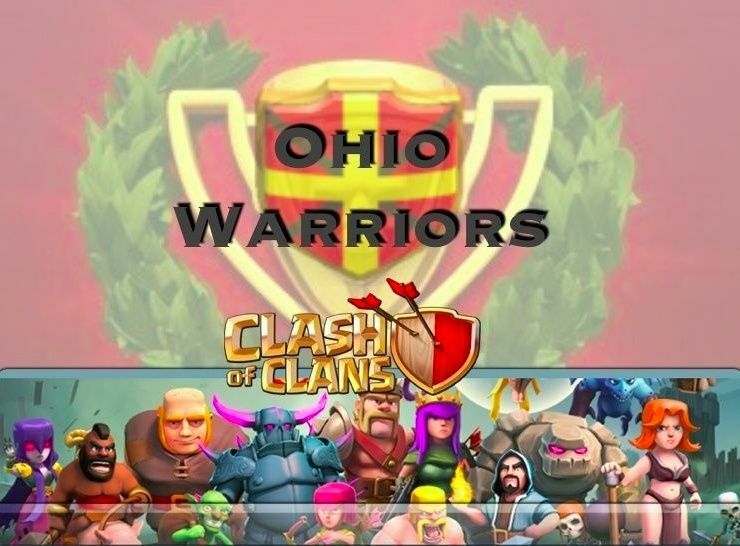 On November 30th, hostilities between the Ohio Warriors and the Canadian clan Chummy ceased, and we were victorious. Once again, we faced a slightly inferior opponent, which is never a good gauge for how effective we are as a clan. However, it should be pointed out that we have made significant improvements in several areas that will better prepare us for our next superior opponent. Some quick stats before we analyze our performance: We used 58/60 attacks (one player was on vacation), and of those 58 we won 50. 21 of our attacks resulted in 3-stars. Our average destruction ended up at 92.3%. This last statistic of “average destruction” indicates an improvement in execution, and this was verified by what most of us witnessed on the battlefield. We 3-starred every opponent from #11, down plus #8. DISCIPLINE: Discipline is the single most important component in war. All other aspects hinge on it. Our discipline is nearing perfection. It’s not there yet, so don’t get cocky, but it is VERY good. We attack very near to our corresponding number in most cases, or when we see a weakness, such as DMSM did with number 15, we exploit that in order to gain an advantage on the war map. It is critical that we always use both attacks whether we feel we need to or not, because this repetition will become habit, and then second nature. There will be wars in the future where this will be the deciding factor, so let us NEVER say that we lost a war because too many people sat out. Dad’s attack on #8: Dad used an all-dragon attack with level 2 dragons to 3 star a fairly spread out TH8 base design. Instead of going all rage, he used 1 healing spell, which probably was the deciding factor since the AD’s were spread out, and his dragons were exposed to enemy fire longer than usual. If you use dragons, you MUST watch this replay. JoeDBarr’s attack on #11: This was a very complex ground attack that simply needs to be watched. Although it would be difficult for any of us to reproduce this attack, the basic strategy remains very effective. It is often referred to as the GOWIPE attack, short for “Golem-Wizards-PEKKA”. The strategy is for the Golems to take the heavy fire while your main destructive force (wizards and PEKKA’s) comes in behind and cleans house. Josh’s attack on #3, and Kimberguy’s attack on #5: This was a great example of the use of hogriders. Although these particular attacks did not result in 3 stars, they still show a good use of hogs. The hogs are used to hollow out the defenses, and then a few dragons can come in behind and finish up. Remember you must use a healing spell with hogriders, because they don’t have a lot of hit points compared to giants. Jared’s attack on #7: Good old fashioned giants and wizards. That’s right, they can still work. You’ll just need to watch this one. Wizards remain one of the most destructive forces in the game, and should never be discounted. Giants, which go for defenses, have 670 hit points at level 5, so they can go a very long way. These were just a few of our well executed attacks. We need to also watch our failed attacks. It’s important to see methods that do not work so that they are not repeated. On at least 1 of our failed attacks, there were no clan castle troops. It is strictly FORBIDDEN to go into war without War Troops in your clan castle. Before you hastily hit the attack button, double check your CC troops, your spells, and make sure your army is at capacity. Also, DO NOT go into battle with a level 1 or 2 dragon in your CC. We have NO shortage of war dragons now, with so many TH8’s that have level 3 dragons. There is NO excuse for anyone to have non war grade troops, other than laziness. FORUM: Forum usage is at an all-time high. I will work with our administrator to clean up the “General Discussion” forum, as it’s getting very cluttered with posts. Likely we will try to put the “Call your number here” topics in one folder, and the Post Mortems in another folder. Bear with us on this. TEMPERS: Another great week for keeping our tempers under control. This is beginning to become a thing of the past, and I may not continue to mention it. TOWN HALL 7’s: Great job once again bringing home the bacon. We are seeing very good placement of rage spells as well. Make sure you don’t drop your rage spells at the same time though, because one or two of them will fade away before your dragons reach the spell area. If you are a TH7 without dragons, please do your best to get your barracks to level 9. It costs 1.5M elixir and is a 4 day upgrade. You are at a SERIOUS disadvantage on the war map when your corresponding number who has dragons is most certainly going to 3-star you, but you can’t 3-star him because you don’t have dragons, and you don’t have the ground force capacity to 3-star a TH7. DEFENDS: We had 10 defends. If you got 3 starred and are looking for a better war base layout, you may want to look at some of our bases that successfully defended. One final note: The opponent was certainly not the best we’ve faced, and they only used 44 of their 60 attacks. Additionally, we saw unusually high percentages of traditional giant attacks, something we don’t normally see as often in war. For whatever reason, either the opponent was just plain inferior, or not interested in giving the Ohio Warriors a serious run. I believe we would have won the war regardless, but I think the best part of our performance was the discipline we showed. It will pay dividends when we encounter our next superior opponent. Comments are welcome. Keep it civil. Only comment I will make is that if you were attacked by a severely higher level opponent, that is equivelent to stealing candy from a baby and not poor defense. Yes Tuba, by all accounts we consider that to be a win for the clan. I probably should have mentioned that. Like when we had Shaun1467 defending 3 or 4 attacks, and then finally their #2 comes all the way down to take her out. Definitely a win. What an absolutely GREAT post mortem. You hit on everything and the more I read the more ideas I got. Of course it cannot be done all at once but the leaders may consider gradually moving into mandatory participation in the forum in order to continue to be in the clan. One suggestion to move toward something of this nature would be to be sure to mention the forum several times during the week, asking members if they have read. Weekday evenings or times when the chat is particularly busy. I get great ideas here and I think it could make for even more productive warriors. Again, great job. I enjoyed this immensely and am going to watch both the success/fail attacks now. Thanks for being such a great leader.